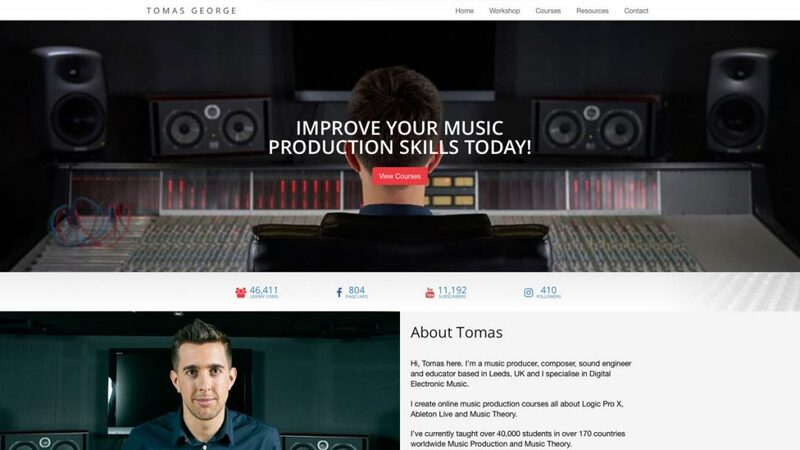 Working together with Omni Web Design in Leeds I was tasked to design and create Tomas George’s new website. Here’s a video from founder Michael Oxley about the Project. Tomas’ old page was a mix of leadpages using WordPress to aggregate them. As you can see below his page didn’t instil trust into potential customers and that was one of the major things we wanted to do here. Tomas came with examples of what he wanted to achieve and with a nice list, these included two main websites that he wanted to emulate. 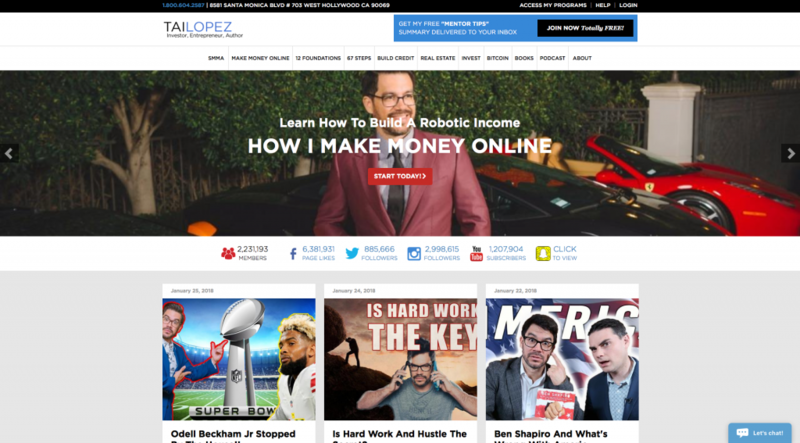 One of these was Tai Lopez and in particular his hero section and social media bar. There’s a lot of clutter on Tai’s site so we stripped down the navigation for a simpler one and recreated a taller hero image with a close replica to the social media bar. 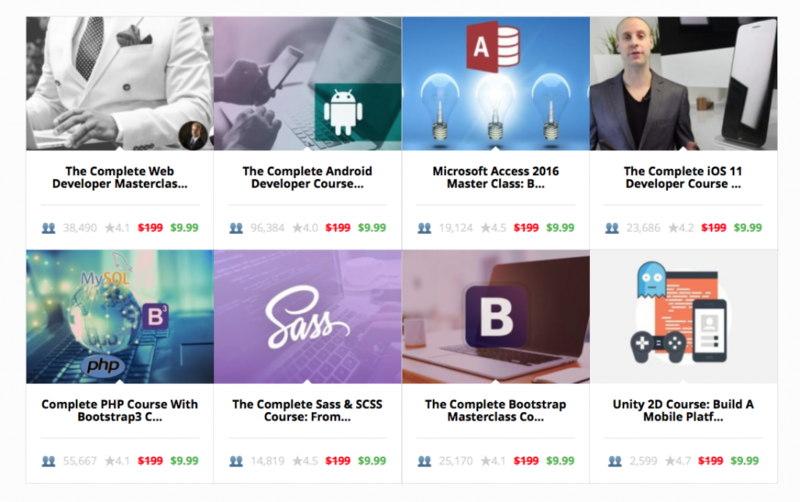 One of the main focuses of the website was to be able to link straight to Udemy. 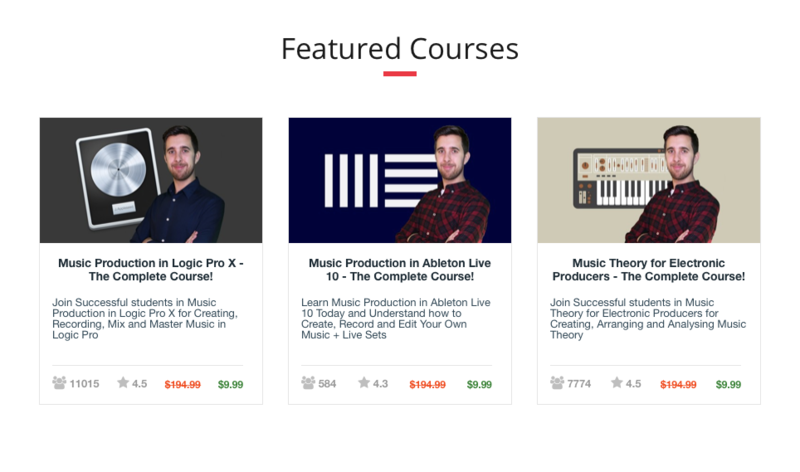 This would enable Tomas to get more of a cut of profits from Udemy rather than the percentage he gets from users already being on the site. He liked the cards from Joe Pary’s website that displayed information from Udemy. The cards were a little clunky and with no margins aesthetically they could be better. I redesigned the cards and gave Tomas a more conventional 3 card layout with flex-box. Using a Udemy plugin I managed to pull most of the data I needed and modified it using the Udemy docs to pull in student numbers, and all Tomas needed to do was add a shortcode with the course ID to display the card from the backend. 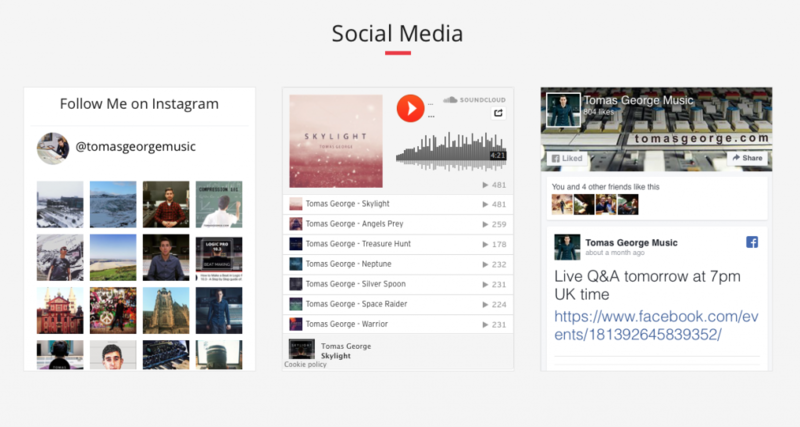 Similar to Tai’s site we replicated a social media section with widget cards. 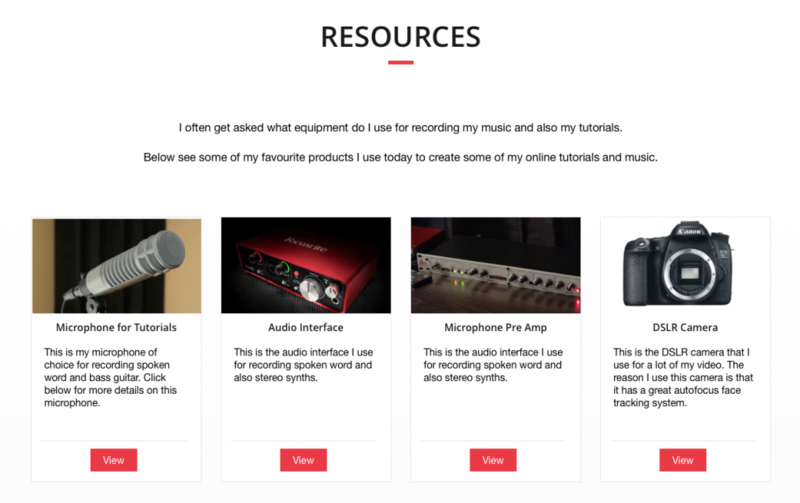 Using Advanced Custom Fields and Custom Post Types, I created a resources backend page where Tomas could add his affiliate links easily and these would then show on his resources page. Completing the website with a custom newsletter form which sends information directly to his Mailchimp list. Wordpress website with VIP area for clients. Clean YouTube playlist app in React using the YouTube API. Feel free to contact me and I will get back to you as soon as I can.